Someday, the hard disk drive inside your computer may become a fire hazard. In this data recovery case, our client came to us for our hard disk repair services after their computer began to smoke, make crackling noises, and emit a strange burning odor. Before their PC could add another house to the hundreds of thousands of houses that burn down each year, the client turned off the computer, removed its hard drive, and had a local computer repair technician take a look at the drive. It turned out that the hard drive itself was responsible for the smoke, sound, and smell the client had noticed coming from their computer. Has your hard drive decided to take up smoking? Let Gillware help it kick the habit. It’s a clichéd childhood story, at least among baby boomers and gen Xers—your parents catch you smoking, so they punish you by making you smoke the whole pack. When you catch your hard drive smoking, though, this is not the approach you want to use. The smoke, as well as the burning odor accompanying it, comes from your hard drive’s printed control board. The PCB is a circuit board that sits on the back of your hard drive. Electricity flows through the board and into the hard drive, spinning the spindle motor inside and setting the read/write heads in motion. The read and write commands you issue to the drive flow through the PCB as well, and data passes through the board on its way in and out of your drive. The PCB is basically the hard drive’s gatekeeper. Heat is bad news for electronics, and it just so happens that electricity can produce a lot of it. When the PCB becomes damaged or the paths electricity travels through break down with age, the ensuing buildup of heat can sometimes burn a portion of the PCB. When you try to run power to the drive, electricity will hit the damaged portion of the PCB, giving off smoke. Plugging a hard drive with a burned PCB into another device, such as a power supply unit, can fry the other device as well. Trained and highly skilled hard disk repair professionals must handle smoking hard drives with great care. Fortunately for you, we here at Gillware happen to have such professionals in spades. When your hard drive starts trying to play arsonist, how do you get your data off of it? Simple—you send it to Gillware! The only way to get a hard drive to quit smoking is to make it go cold turkey—and replace its malfunctioning PCB. 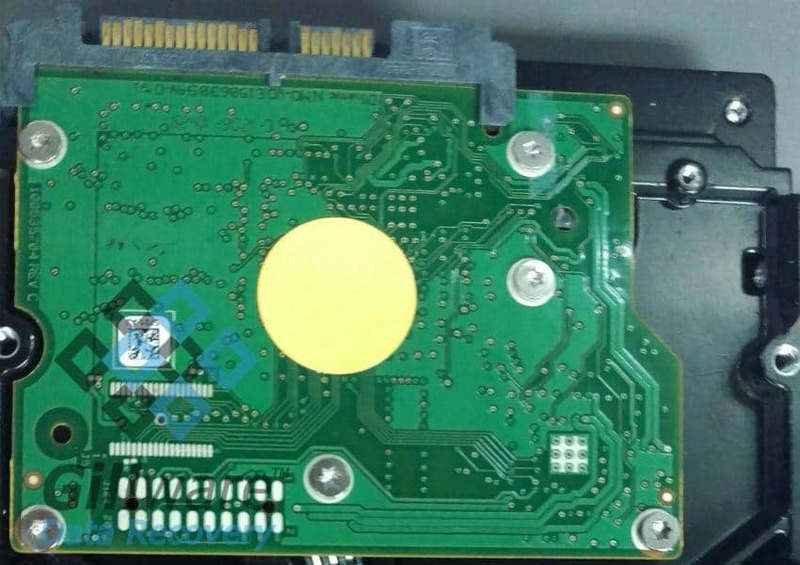 PCB replacement is an oft-misunderstood hard drive repair operation, as evidenced by the number of people we see who try it on their own and don’t understand why it doesn’t work. Just removing a healthy PCB from one Seagate Barracuda drive and slapping it onto the other drive won’t cut it. It used to be that simple—which is the reason why people still occasionally try it today—but hard drives have changed over the past ten years. Their innards have become much more complex, necessitating each drive to be individually calibrated by the manufacturer. The unique calibration data, which the drive needs to function, goes into a ROM chip. The chip is located on—you guessed it—the PCB. To stop a hard drive from smoking, our electrical engineers need to find a compatible board to replace the failed drive’s smoked PCB. But before swapping the boards, one of our electrical engineers needs to carefully swap the ROM chips between the two boards. That way, when we power on the hard drive with its new, healthy PCB, the drive will actually be able to access the proper calibration data and won’t damage itself. All hard drive control boards (within the same model of hard drive) may look identical... but don't be fooled. Data Loss Situation: Desktop computer tower started crackling, emitting smoke and a burning odor. Hard drive would not spin up. After repairing a hard drive’s PCB, our engineers have to monitor the drive’s performance carefully, just in case any other components are in rough shape. When a hard drive’s PCB fails, whatever caused the control board to fail may damage other components of the drive as well. Fortunately, this hard drive’s other components were in fairly decent shape. With the PCB successfully replaced, our data recovery technicians could start pulling data off of the drive. There were a few sectors on the platters that had gone bad—likely due to age, not mechanical failure. Our engineers successfully recovered 99.5% of the files living on this Seagate hard drive’s platters. All of the client’s personal documents and family photos were completely recovered and fully functional. We rated this hard disk repair case a 9 out of 10. 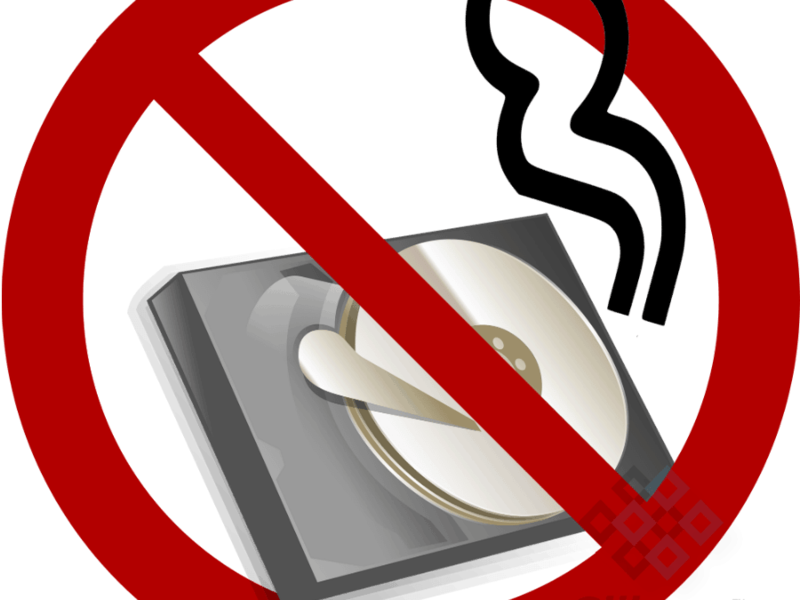 When your hard drive starts smoking, you can trust the expert data recovery specialists at Gillware to help it kick the habit.